Nolan Huffman is very professional, knowledgeable and friendly, our dogs have years of experience on wild birds and are well trained. 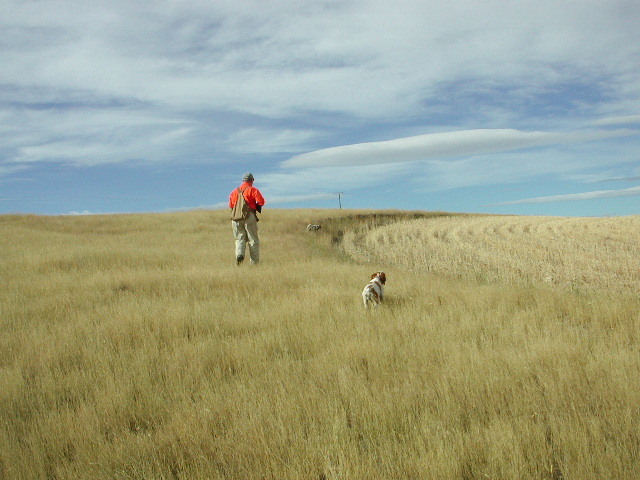 Our services offer Sharp-tail, Huns, limited Sage Grouse and Pheasant. Thank you to Jim and Miriam Fallon for use of their property at the Fallon Ranch Montana, you are greatly appricated. We highly recommend break-action shotguns. Autoloaders will be limited in their number of shells.